What Do You Think? Tell Us. Learn about transportation in the region and help set future priorities. 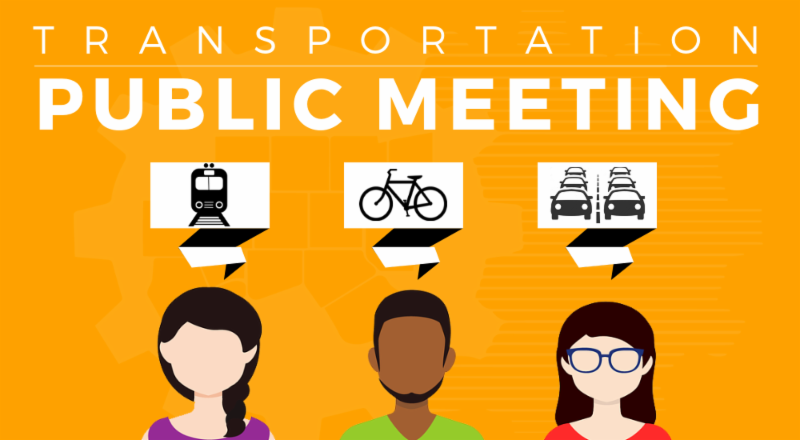 The Regional Transportation Council and North Central Texas Council of Governments, together serving as the metropolitan planning organization for the Dallas-Fort Worth area since 1974, are seeking public input. To request a free, roundtrip ride between NCTCOG and the Trinity Railway Express CentrePort/DFW Airport Station, contact Carli Baylor at least 72 hours prior to the meeting at cbaylor@nctcog.org or 817-608-2365. In December 2016, the Regional Transportation Council approved a 10-Year Plan identifying major projects to be implemented in the region by Fiscal Year 2026. An updated draft of the project list that goes out to FY 2029 and details on the project scoring process will be presented for review and comment. Federal regulations mandate urbanized areas with populations over 200,000 must implement and maintain a Congestion Management Process (CMP) for measuring transportation congestion levels and prioritizing management strategies. Staff will present a brief overview of federal CMP requirements, the history and role of the CMP in the metropolitan planning process and elements and topics to be considered in the CMP update. Mobility 2045 defines a long-term vision for the region's transportation system and guides spending of federal and state transportation funds. This includes funding for highways, transit, bicycle and pedestrian facilities and other programs that reduce congestion and improve air quality. An implementation status update will be presented. Traveler information for the region related to freeways, toll roads, city streets and transit trip planning is available through 511DFW. The system provides information in Spanish and English through mobile apps for Android, iOS devices, the 511DFW.org website and by dialing 511. A demonstration will be presented to showcase various features and capabilities of the mobile app. Each spring, the NCTCOG Transportation Department participates in various events to discuss transportation and air quality programs with North Texans. A full list of events can be found at www.nctcog.org/input. Administrative revisions to Mobility 2045, the long-term transportation plan for the Dallas-Fort Worth region, can be viewed at www.nctcog.org/input. For special accommodations due to a disability or language translation, contact Carli Baylor at 817-608-2365 or cbaylor@nctcog.org at least 72 hours prior to the meeting. Reasonable accommodations will be made. Para ajustes especiales por discapacidad o para interpretación de idiomas, llame al 817-608-2365 o por email: cbaylor@nctcog.org con 72 horas (mínimo) previas a la junta. Se harán las adaptaciones razonables. Join the Dallas-Fort Worth (DFW) Clean Cities Coalition, Transportation Energy Partners, and NAFA Fleet Management Association at EarthX, the world's largest Earth Day festival, on April 26th for a half-day workshop aimed at promoting fleet efficiency in the emergency response, school bus and delivery truck sectors. Attendees will have the opportunity to learn directly from peers in these represented industries and hear how to implement clean vehicles and efficiency practices in their community. Industry leaders will provide their expertise on financial and environmental benefits, overcoming barriers and strategies for deploying new technologies. Fleet managers, purchasing officials, sustainability staff and all other interested professionals are encouraged to attend. Various vehicles and/or technologies will be on display for attendees to experience first-hand. Space is limited so register ASAP. 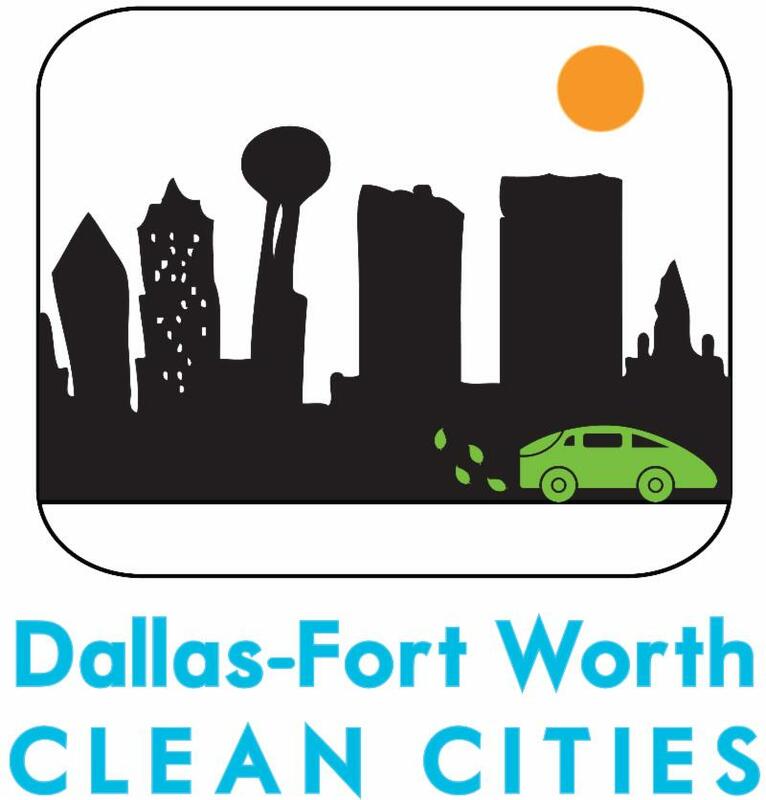 For additional information, an agenda and how to register, visit the DFW Clean Cities website at www.dfwcleancities.org/earthxworkshop.